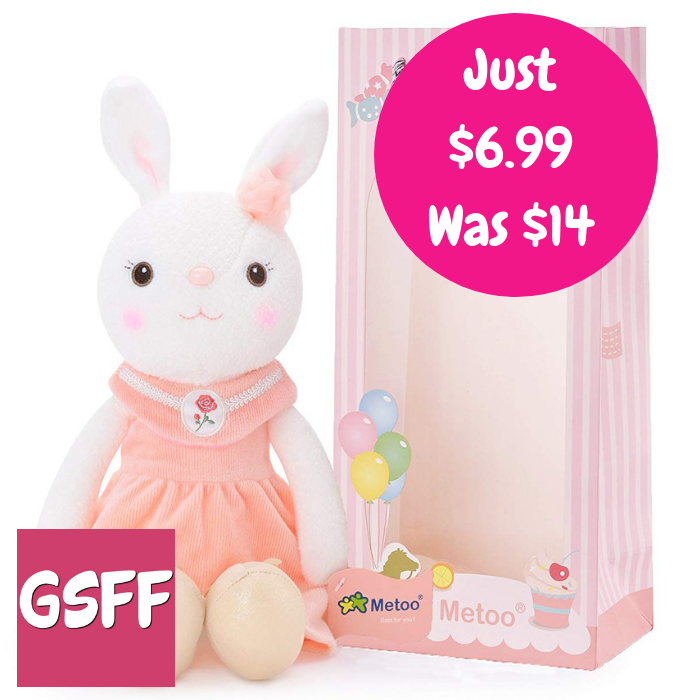 Bunny Plush Toy Just $6.99! Down From $14! PLUS FREE Shipping! You are here: Home / Great Deals / Amazon Deals / Bunny Plush Toy Just $6.99! Down From $14! PLUS FREE Shipping! At Amazon, score this Bunny Plush Toy for only $6.99 down from $13.99 PLUS FREE shipping when you use promo code UI5JRUAA at checkout! All new material Can be machine washable and dryer. Every seam is tight and well stitched as picture show. Adorable bunny long ear could be curved. Sweet gift for any occasion. It is a collectible stuffed girl’s dolls, each series have different story, and you can find the whole set collection in our shop. Made of high quality safety environmental soft plush fabric+PP cotton filler.Could be wash.
Every seam is tight and well stitched.Adorable bunny long ear could be curved. Sweet gift for Easter day decor,children’s birthday,christmas,thanksgiving,baby shower,mother’s day and other memorial day.